In this collaborative installation, Maya collaborated with artist Reem Bassous to create an imagined city loosely based on the city-scapes and plans of Beirut and Tel Aviv. 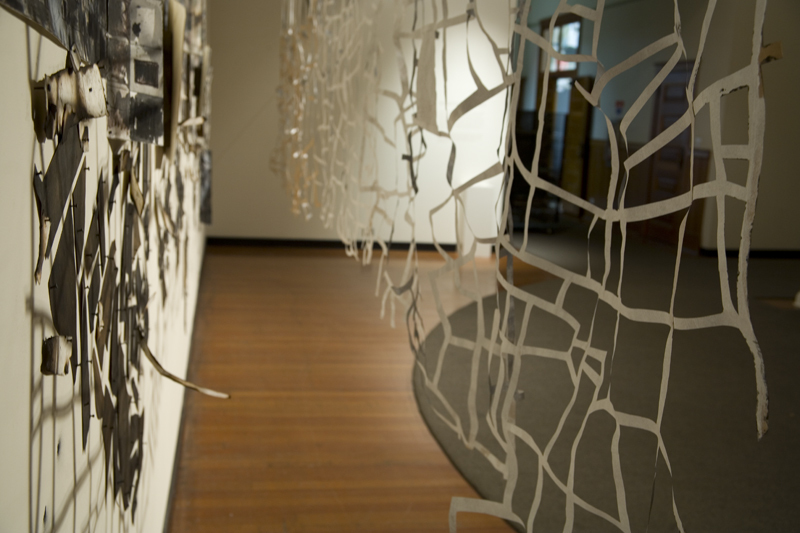 The exhibition space was transformed with a process that questions the boundaries of drawing, through direct application on the wall, layering, cutting, burning and forming paper in relief. 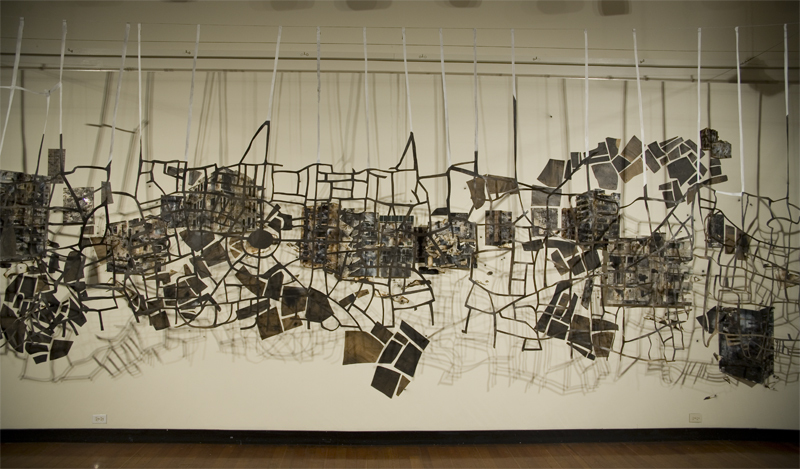 These material processes of cutting and burning paper are a metaphor for the destruction in a city amidst conflict. 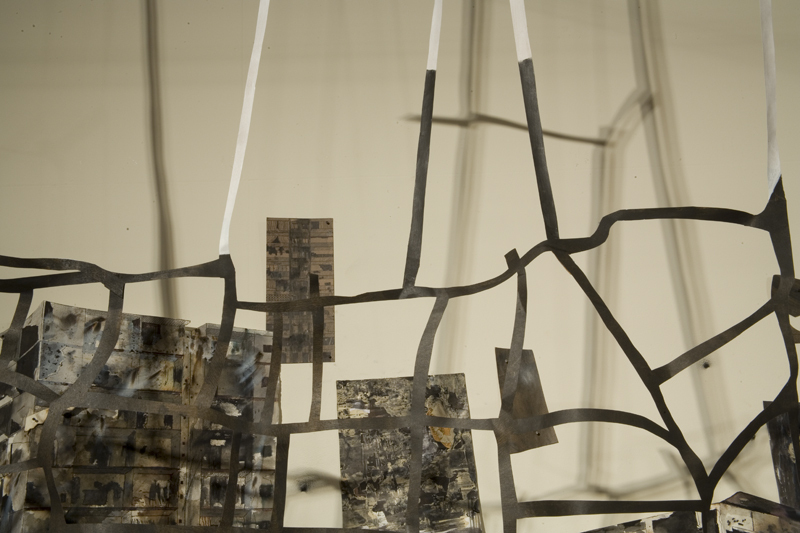 Similarly, salvaging the remnants of cut paper and negotiating from them a new image, is itself a method of creating an imagined city-scape from the fragments of the old. These two artists from diverse media backgrounds find overlaps in their commitment to process, and have found artistic collaboration as a way of understanding and reconciling differences in each of their aesthetic, conceptual and cultural points-of-view.